These products are no longer available, except sometimes on the used market. We've left the information here for our customers who may still have one of these machines, or who have found a used bargain somewhere and want to know more about it. This punch has been discontinued by the manufacturer. The recommended replacement is the 1/4" Plastic Card Punch. See our Thermal Binding Machines index for a complete list of our current machine models. This electronic binding system is perfect for creating business proposals, manuals, and even school reports that will be bound for a long and useful life. Economical, durable binding system. Binds in seconds without labor intensive paper punching. 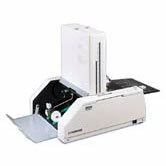 See our Comb GBC Binding Machines index for a complete list of our current machine models. 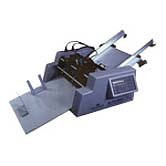 rnThe industry standard heavy duty manual punch and bind machine for plastic comb binding. 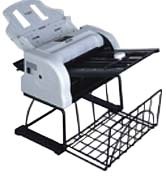 The PBPro 201E Electric Comb Binding Machine is heavy duty and will help you make comb bound books easily. It's all metal construction makes it reliable and its features allow you to bind as many comb bound books you need, quickly and precisely. It can easily punch 15 sheets of 20 lb. paper with the push of a button thanks to its built in electric comb punch. Comb spreader for a separate binding operation. See our Perfect Binding index for a complete list of our current machine models. See our Wire Binding Machines index for a complete list of our current machine models. Produce wire-bound books using your plastic comb binding machine. Just punch your document with your plastic comb binding machine, insert the correct size 19 loop wire, and close with this closer. The HD800 is obsolete. It has been replaced by the Onyx HD8000. Produce wire-bound books using your plastic comb binding machine. Just punch your document with your plastic comb binding machine, insert the correct size 19 loop wire, and close with this closer. Manual punch and bind 3:1 or 2:1 wire. Neat, professional binding of presentations, manuals, proposals, directories, training materials - anywhere that the highest quality appearance is required. This binding machine has been discontinued by the manufacturer. Please call us at 800-808-2377 for a recommended replacement. This machine has been discontinued by the manufacturer. Pleease call us at 800-808-2377 for a recommended replacement. This machine has been discontinued by the manufacturer. Please call us at 800-808-2377 for a recommended replacement. 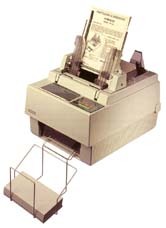 The Super-12/RC Business Card Slitter has been Discontinued. See our Business Card Slitters index for a complete list of our current machine models. 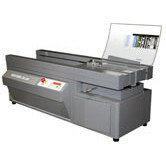 See our Wide Format Laminating Machines index for a complete list of our current machine models. See our Pouch Laminating Machines index for a complete list of our current machine models. The Model MD-100 is no longer available. For a recommended alternative, please contact us at 800-808-2377. 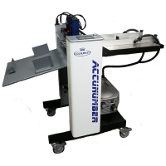 Economical, easy-to-use two and a half station auomatic folder and inserter. See our Paper Drills index for a complete list of our current machine models. This machine is no longer manufactured. Please call us at 800-808-2377 for a recommended replacement. up to 350 sheets of 20lb paper. See our Coil Binding Machines index for a complete list of our current machine models. 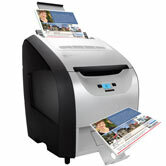 The CM 8000 will punch up to 10 sheets of standard paper. 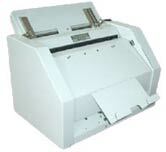 The Office E-Coil 46 Coil Binding Machine punches up to 15 sheets of paper. Comes equipped with an electric roller to speed up coil insertion. for plastic coil binding. Crimps both ends of the coil in one easy operation. 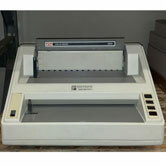 The 27 inch EZ Roll Laminator has been Discontinued and replaced by the Minikote EZ 27" Laminator. See our roll laminating machine index for a complete list of our current machine models. 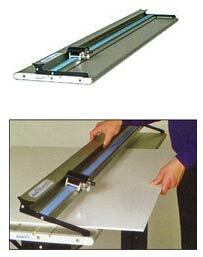 Extra wide, easy to use roll laminator. 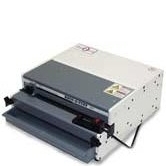 A high quality laminating machine for use with 1.5 mil & 3 mil films. 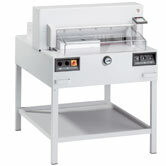 See our Roll Laminating Machines for a complete list of our current machine models. 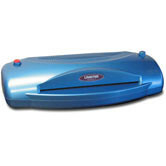 The Easy-Lam School Budget Laminator is a heated roller machine that laminates at a lower temperature to cut down on the odor of high temperature laminators. That helps in school environments, when the laminator usually is working in smaller spaces. In addition to not having to deal with complaints about the smell, the machine is energy saving! for use with films up to 10 mil thickness. 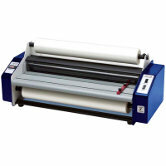 See our Roll Laminating Machines index for a complete list of our current models. MightyLam 2700HC was newly redesigned to be a laminator in a quick print environment or for laminating/mounting of imaging output up to 24" wide. The MightyLam 2700HC Roll Laminator features hot and cold lamination with dual hated rollers, release liner take up and a 1/4" mounting capability. 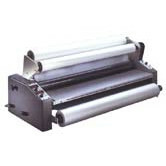 Commercial Roll Laminator is a high-speed (20 ft per min) laminator. That is 4 times faster than most other commercial print shop laminators. This production laminator was designed specifically for commercial printing and in-house production environments. It features unique crowned rollers and an infrared heat shoe system, which provides exceptional quality lamination, even at high speeds. The finisher 4300 is designed to laminate digital output that ordinary laminators just can't do. 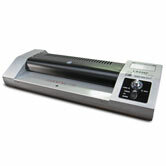 The Entry 4500 is a economical laminator for documents up to 45 inches. 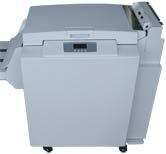 It is capable of mounting, laminating, and encapsulating output from 36", 42" and 44" inkjet printers. stocks up to 10 rolls of film. The SuperKote 42 Roll Laminator is the heaviest duty Industrial Wide Format Laminator & Mounter available in a tabletop design. 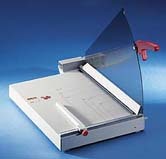 The SuperKote 42 laminator accepts laminating film from 1.5 to 10 mil thick and up to 41" wide. It will mount graphics up to 1/2" thick. See our Pouch Laminating Machine Index for a complete list of our current Pouch Laminating Machines. 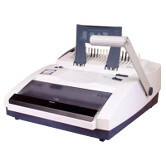 Commercial duty ID card laminator. For use with all small pouches up to 10 mils thick. The PH 900 9" Pouch Laminator has been discontinued. See our Pouch Laminating Machines index for a complete list of our current products. 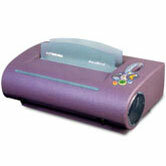 The PH 900 pouch laminator is ideal for all types of paper, photos, and digital prints. 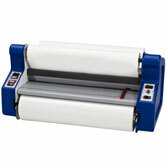 The PH 900 works as a hot or cold laminator and laminates documents up to 10-mil thick and up to 9 inches wide. Lamitek PhotoPro 13" Pouch Laminator features quality photo lamination of up to 10mil thick and 13" wide It is commercial Duty, fixed Speed and has 4 rollers 2 heated. 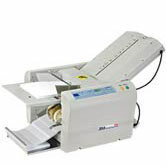 Commercial duty, carrier free 9" pouch laminator. 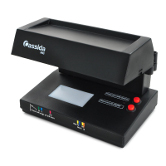 Provides easy and professional laminating up to legal size at an economical price. Perfect for home or office use, the LM 1910 laminates up to 9 1/2"
and it only needs 4 minutes to warm up. See our Pouch Laminating Machines Index for a complete list of our current Pouch Laminating Machines. 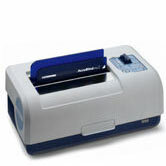 The PL12A pouch laminator is ideal for laminating ID Cards and badges, membership cards, luggage tags and more. 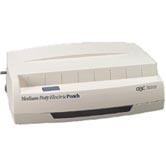 The PL135 12" Pouch Laminator has been discontinued. See our Pouch Laminating Machines index for a complete list of our current products. The HRPL330 13" Photo Pouch laminator is an affordable commercial duty pouch laminator that utilizes an advanced heated roller design. 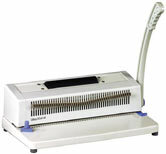 The PL135-4 12" Pouch Laminator has been discontinued. See our Pouch Laminating Machines index for a complete list of our current products. 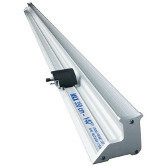 The 2130 12 inch Pouch Laminator has been discontinued. See our Pouch Laminating Machines index for a complete list of our current products. 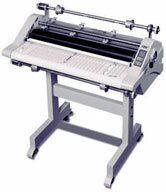 13" heavy duty, carrier free pouch laminator. 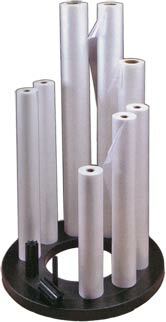 The new industry standard for fast, accurate pouch laminating. The 14 " Lamitek SL-14 Photo Pouch Laminator is perfect for photos, color copies, ink jet printed documents and many other tough to laminate items. 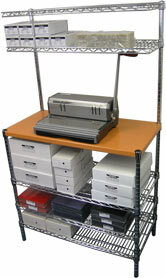 of laminating any single document up to 10 mil thick and up to 13 inch wide or several smaller documents at one time. 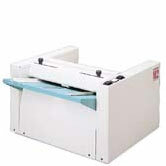 The KL 12HR heavy duty photo pouch laminator is the industry standard. The HR13 professional photo pouch laminator is designed to laminate all types of documents including tough to laminate items such as photographs and digital images. The ClassicCut CL800 Pro Manual Stack Cutter has been discontinued. See our Paper Cutting index for a complete list of our current products. The ClassicCut CL800 Pro manual stack cutter is designed for everyday use, small precision cuts, and large paper cutting jobs. 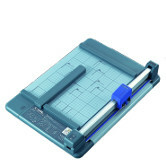 The MBM 4225-EP 16-7/8 inch Paper Cutter has been discontinued. 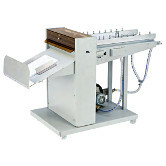 See our Automatic Paper Cutters index for a complete list of our current products. 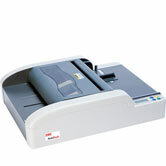 makes the 4225-EP ideal for quick-print and franchise shops. 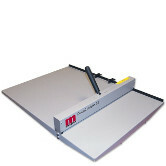 The MBM 4810-EP 18 7/8 inch Paper Cutter has been discontinued. 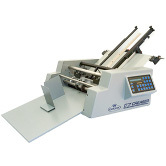 See our Automatic Paper Cutters index for a complete list of our current products. for quick printers and in-plant facilities. See our Manual Stack Paper Cutters index for a complete list of our current machine models. 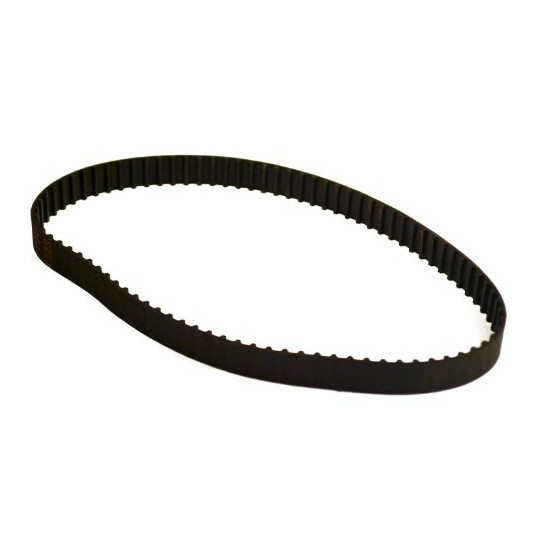 lets you cut stacks up to 1 1/2" thick and 16 7/8" wide. Reduce costs by cutting parent sheets. Now with programmable keypad for increased speed and accuracy on repeat jobs. 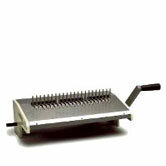 Economical, heavy duty manual 18" stack cutter. Allows cutting up to 3" thick paper stacks. Save time and money by cutting in-house. Optional floor stand available. See our Automatic Paper Cutters index for a complete list of our current machine models. Are you tired of folding paper by hand? The LF282N paper folder folds up to 5 sheets of standard paper at one time. Just drop your paper into the LF282N feeder, the paper folder pulls the sheet in and pops it out folded into a "C" also called "Letter Fold"
See our Paper Folders index for a complete list of our current machine models. 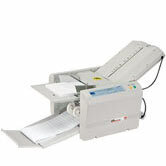 folds up to 4000 sheets of 20 lb. bond paper per hour in 4 popular folding styles. The LF286 folds 4,000 sheets of paper per hour. 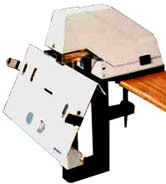 Compact size (feed table folds in for storage) performs 4 standard folds and custom folds on paper sizes up to 8 1/2" by 14"
The FD 340 folder is a fast, dependable and easy-to-use solution for virtually all folding applications. Six popular folds are clearly marked on the fold plates for quick setup. The FD 320 utilizes the "drop-in" feed system which eliminates the need to fan paper. 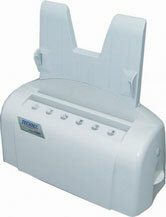 It is an easily operated, high performance, affordable paper folder. Folds up to 11" x 17" size paper. A fast, easy to operate, and economical paper folder. using 2 easy-to-follow charts. It feeds a wide range of paper stocks quickly and easily. Excellent performance in a compact design. 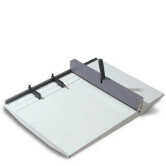 This economically priced paper folder can fold 10,500 sheets per hour of 12 to 80 lb paper. This is the only table top folder which can first collate up to three sheets and fold it together. This enables a new dimension for applications ie., Letter can be folded with a brochure or price list. 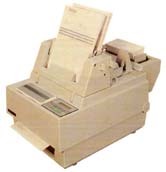 The PF-S315 Paper Folder has been discontinued and replaced by the PF-P320 Paper Folder. 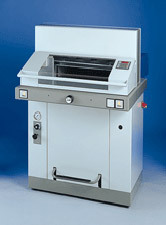 The 307A Automatic Paper Folder has a speed of 11,520 sheets. It handles paper sizes from 3 1/2" to 11" x 17"
The 407A Automatic TableTop Paper Folder has a speed of 11,520 sheets per hour. It handles paper sizes from 3 1/2" x 5" to 11" x 17"
A fast, fully automated paper folder. Performs up to 250 folds per minute. The ES-118 Stitchers and Staplers has been discontinued. See our Saddle Stitchers & Staplers index for a complete list of our current products. 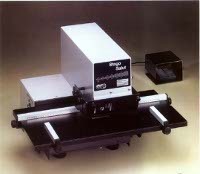 The Stago Salut Flat and Saddle Stapler has been discontinued. 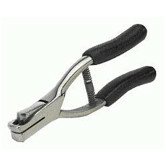 See our Saddle Stitchers & Staplers index for a complete list of our current products. that can staple up to 170 sheets. 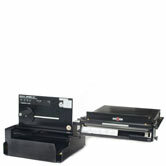 The P200 Proclick Machine has been discontinued and replaced by the ProClick® P210E Guide Right. The Stylish and innovative system gives you a quick easy binding system that both punches and binds. You can easily edit existing bound projects with the proclick spines. 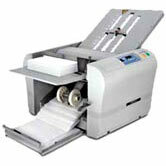 The GC2000M tabletop multifunction card slitter can slit full bleed cards quickly and accurately in two simple passes. Align the sheets with the guides and flip the switch, Its that easy to slit. The popular, compact/portable, 4 up slitter. Newly designed the HS-442 will slit cards at speeds up too 400 cards per minute. a variety of paper stocks and sizes. Get professional bookbinding results each and every book with the new AccuBind Pro 2 document binding system. Economical heavy duty perfect binder and padder. Full featured, yet small and quiet for office table top operation. See our Tape Binding Machine index for a complete list of our current Tape Binding Machine models. The Standard AccuBind Pro Document Binding System uses heat-activated binding strips with a natural flexibility to provide a strong, durable and attractive bind. 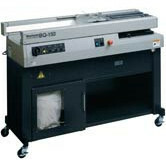 The BQ-140 Perfect Binder has been discontinued and replaced by the BQ-150 Perfect Binder. The ideal machine for the short run on demand market. Performs perfect binding (with or without notching) and report binding. 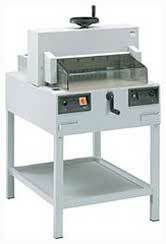 The EWC 8370 ELECTRIC WIRE INSERTER / CLOSER has been discontinued. 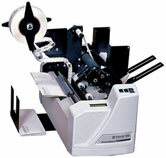 See our Wire Binding Machines index for a complete list of our current products. The OD4400 comb spreader is obsolete. It has been replaced by the ONYX HD4470 Comb Opener Module. OD4400 comb spreader for the OD series of multi-purpose punch and bind machines. 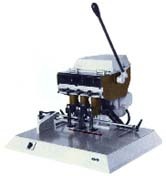 Mounts on the OD4000 electric punch, the OD4800 manual punch, or the OD 3500 binding station. Create professionally bound books inexpensively. Produce up to 200 perfect bound books per hour. This user friendly machine is ideal for short-run and on-demand printing applications. 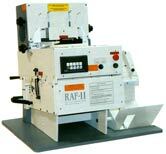 The RAF-11 Fully Automatic Interchangable Die Punch has been discontinued. 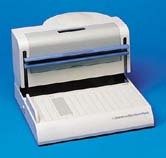 See our Binding Machines index for a complete list of our current products. and you have a high speed automatic punching machine. The SircleBind CW-4500 has been discontinued. We recommend the VersaBind M as a suitable replacement. The DC 210 has been discontinued. It's replaced by the DC-210N. The DC 220 has been discontinued. It is replaced by the DC-220N. The DC 238 is dicontinued. It has been replaced by the DC-238N. See our Perforators, Scorers & Creasers index for a complete list of our current Perforators, Scorers & Creasers models. The CR18 paper creaser accurately scores short run digital print jobs up to 18" wide with out the risk of cracking the printed image. The CR18 creaser is great for: Cover stocks, pamphlets, brochures, greeting cards, ink or toner-based stocks. 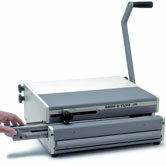 The DocuCrease 35 can score up to 14 in length. The DocuCrease 52 is designed to score/crease documents or prints that can be damaged easily due to cracking of printed ink. The DocuCrease 52 can score up to 20.5 in length and is designed to score/crease documents or prints that can be damaged easily due to cracking of printed ink. The score/crease is applied by pressure rather than a rotary method, which can allow cracking, tearing or tracking. The Perfmaste has been discontinued. 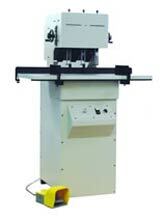 It is replaced by the Perfmaster Sprint Perforating and Scoring Machine. Automate your perforating and scoring operations. This 19" automatic perforating and scoring machine feeds single sheets, multi-part forms, coated stock, even sets with glued edges. The Ez Creaser has been discontinued. The recommended replacement is the MBM icrease EXCEL Crease and Perf Machine. The Ez Creaser is a Digital Creasing Solution. Its Score positions are controlled to 1/100th. of an inch, and can be placed in up to eight locations per sheet. The Auto Pro Plus has been discontinued by the manufacturer. It's replaced by the Auto Pro Touch Numbering Machine. 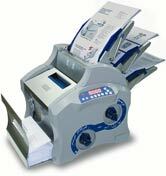 Economical, semi-automatic office duty booklet maker. This low cost, compact booklet maker is great for making booklets from 8-1/2" x 11" or 11" x 17" paper. 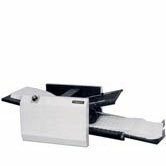 The AutoBook booklet maker features push button booklet making, it staples up to 15 sheets of 20 lb. paper automatically making booklets in a few simple steps. 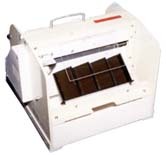 The M2 Booklet Making Machine is an economical, sturdy office duty booklet maker. A compact, desktop machine that folds and staples in one operation. The standard in tabletop bookletmaking. The Auto Pro Plus Air has been discontinued by the manufacturer. 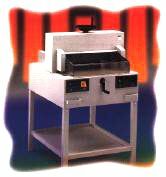 It's replaced by the Accunumber Air Touch 18" Numbering, Perforating, and Scoring Machine. 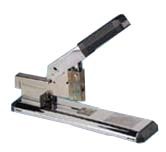 The SR90 automatically folds and staples your documents into a booklet. This booklet maker has been discontinued and replaced by the StitchFold Bookletmaker. Other Bookletmakers can be seen on our bookletmakers index. Ideal for high quality, short-run color applications, Duplo's DBM-80H booklet-maker can be used in-line or off-line with Hewlett Packards' HP LaserJet 8000DN*, 8100DN*, Mopier 320, Color LaserJet 8500DN and 8550DN Series printers to create an integrated printing and bookletmaking system. The Kutrimmer 1035 13 3/4" Paper Cutting Machine has been discontinued and replaced by the Kutrimmer 1135 13 3/4" Lever Style Paper Cutter See our Lever Style Paper Cutters index for a complete list of our current machine models. 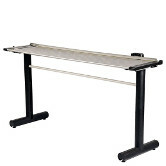 This table—top trimmer has a large capacity and is extra safe with its unbreakable plastic guards. Always precise cutting of paper, laminate, cover stock, and many other materials. 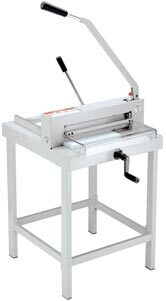 The Kutrimmer 2035 13 3/4" Paper Cutting Machine has been discontinued and replaced by the Kutrimmer 1135 13 3/4" Lever Style Paper Cutter See our Lever Style Paper Cutters index for a complete list of our current machine models. 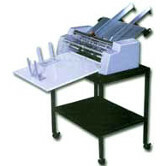 with automatic clamping system to hold paper when cutting. 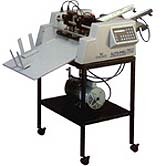 The Kutrimmer 1043 17" Paper Cutting Machine has been discontinued and replaced by the Kutrimmer 1046 18" Paper Cutting Machine See our Lever Style Paper Cutters index for a complete list of our current machine models. 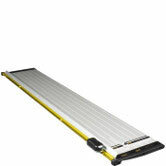 The Kutrimmer 1043 has all the features of the 1035 and 2035, plus it offers a full 18 1/2" cutting width. provide maximum productivity with minimum operator fatigue. Regularly furnished to operate consecutive, duplicate, triplicate or repeat. Provides maximum productivity, with minimum operator fatigue. The Number-All Sequential Numbering Machine has been discontinued. See our Numbering Machines index for a complete list of our current Numbering Machines. Imprints up to 4-part carbonless forms. The Auto Pro Plus has been discontinued by the manufacturer. It is replaced by the Auto Pro Touch Numbering Machine. 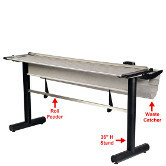 An affordable numbering machine with 18" wide feed. Simple to operate and highly reliable. in one easy single pass. See our Flat Staplers index for a complete list of our current Flat Staplers models. Staple up to 100 sheets of 20-lb. (75 g/m2) paper or equivalent at tap of electronic footswitch! Re-loads in seconds with 4 sizes of staples: ¼", 3/8", ½", and 5/8"
The Accunumber Touch is a user friendly high-speed numbering, scoring, and perfing machine. This air fed 18" wide unit is designed to do high-quality numbering and is easily operated by anyone in your shop. 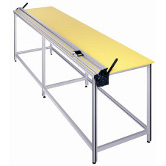 Creases up to 5,500 sheets per hour and accommodates sheet sizes up to 27 1/2 inches. Punch up to 50 sheets of 20 lb. paper with the push of a button. The ease and convenience of this three hole electric punch make operation worry free. This heavy duty paper drill can drill three holes at one time. Two hole or special drilling jobs are an easy adjustment away. The 5510 UV Digital Currency Counter is a All In One money handling cash counter. It Counts money, batches, adds totals, and detects counterfeits. See our Tabbing Equipment index for a complete list of our current machine models. The Martin Yale® EX5000 features the ability to either tab or label in two separate passes. Key benefits include extremely quiet operation and permanent counter. The Keencut 60531 has been discontinued. 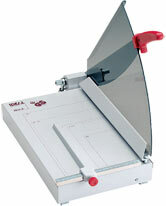 See our Rotary Paper Cutters index for a complete list of our current products. The Keencut 60532 has been discontinued. 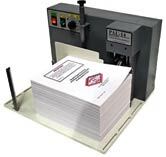 See our Rotary Paper Cutters index for a complete list of our current products. The Keencut 60533 has been discontinued. 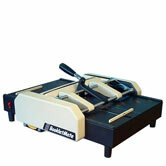 See our Rotary Paper Cutters index for a complete list of our current products. The Keencut 60534 has been discontinued. 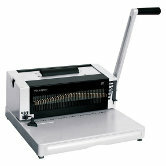 See our Rotary Paper Cutters index for a complete list of our current products. The Keencut 60535 has been discontinued. 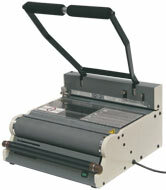 See our Rotary Paper Cutters index for a complete list of our current products. The Keencut 60537 has been discontinued. 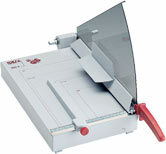 See our Rotary Paper Cutters index for a complete list of our current products. See our Foster Keencut Advanced Rotary Cutters index for a complete list of our current Rotary Cutter models. The Javelin Xtra 44" utility cutter is obsolete. it has been replaced by the 44" Javelin Series 2 Cutter Bar. The Javelin Xtra 64" utility cutter is obsolete. it has been replaced by the 64" Javelin Series 2 Cutter Bar. The Javelin Xtra 84" utility cutter is obsolete. it has been replaced by the 84" Javelin Series 2 Cutter Bar. The Javelin Xtra 104" utility cutter is obsolete. it has been replaced by the 104" Javelin Series 2 Cutter Bar. The Javelin Xtra 124" utility cutter is obsolete. it has been replaced by the 124" Javelin Series 2 Cutter Bar. The Cassida M-18 uses a high-intensity directional UV illumination to reveal UV security threads even on worn or faded bills. It also brightly illuminates UV-reflective security marks on driver’s licenses, credit cards, checks, passports and other documents. Built-in watermark verification can work simultaneously with UV illumination. See our Coil Binding Machine index for a complete list of our current Coil Binding Machine models. Air cooled the coil inserter can be ran continuously and .248 pitch x .187 hole size for easy insert and compatibility. Manual punch and electric bind machine for plastic coil binding. Multi-purpose manual punch. Use with a plastic coil die and the OD4300 coil inserter to form a manual punch and bind machine. The OD is obsolete. It has been replaced by the ONYX OD4012 Heavy Duty Electric Interchangeable Die Punch. Multi-purpose electric punch. Use with a plastic coil die and the OD4300 coil inserter to form an electric punch and bind machine. 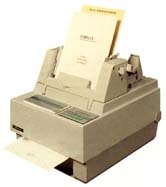 The OD4012 Interchangable Die Paper Punch has been discontinued. It is replaced by the ONYX OD4012 Heavy Duty Electric Interchangeable Die Punch. 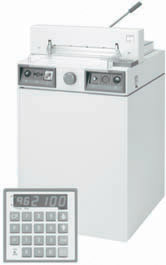 The HD6700 Interchangable Die Punch Machine has been discontinued. Please call us at 1-800-808-2377 for a suggested replacement. The Rhino Tuff HD6700 Interchangable Die Punch Machine has a heavy duty motor to power through any binding hole pattern you choose. 20 Interchangeable dies available and one included. 14" open throat for all your coil binding, wire binding, plastic comb binding, and many more. 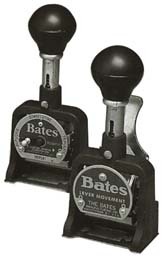 Heavy duty, 14 inch vertical load punch with quick-change interchangeable die system. Punches up to 35 sheets in 20 different hole patterns. The HD7500 24 inch Interchangable Die Punch is obsolete. It has been replaced by the ONYX HD7500 Horizontal Wire, Comb & Spiral Coil Punch Machine. 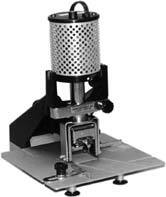 Heavy duty, 24 inch vertical load punch with quick-change interchangeable die system. Punches up to 35 sheets in 20 different hole patterns. See our Multi-Purpose index for a complete list of our current Multi-Purpose models. The heaviest duty punching with a quick change die system. Punches up to 55 sheets in 20 different hole patterns. The APES-14 Automatic Paper Ejector and Stacker Attachment is obsolete. It has been replaced by the ONYX APES-14 Automatic Paper Ejector and Stacker. Automate your punching without buying a new punch! The APES-14 ejects and stacks pages, so you only need to drop stacks of pages into the punch. The PAL-14 Picks-A-Lift is obsolete. It has been replaced by the ONYX PAL-14 Picks-A-Lift Automated Module. Maximize your production through the consistent picking of paper for punching. In Conjunction with the Apes-14, Punching productivity out performs most fully automatic punching equipment. In addition the picks-a-lift offers the flexibility of picking various paper thicknesses, tabs, and other hard to run documents on most automatic punches. The pal is obsolete. It has been replaced by the ONYX PAL-M Piks-A-Lift Manual Module. The Pal M Picks a Lift add productivity to your punch jobs. You can easily adjust the amount it picks to maximum amount of paper your machine can punch. Your whole binding process will get much more efficient when you dont have to inaccurately measure the paper to punch each time. The Sabre 40" utility cutter is obsolete. it has been replaced by the 40" Sabre 2 utility cutter. The Sabre 60" utility cutter is obsolete. it has been replaced by the 60" Sabre 2 utility cutter. The Sabre 80" utility cutter is obsolete. it has been replaced by the 80" Sabre 2 utility cutter. The Sabre 100" utility cutter is obsolete. it has been replaced by the 100" Sabre 2 utility cutter. The Sabre 120" utility cutter is obsolete. it has been replaced by the 120" Sabre 2 utility cutter. The Personal VeloBinder has been discontinued. See our VeloBind Machines index for a complete list of our current products. See our VeloBind Machines index for a complete list of our current machine models. The Javelin 40" utility cutter is obsolete. it has been replaced by the 44" Javelin Series 2 Cutter Bar. The Javelin 60" utility cutter is obsolete. it has been replaced by the 64" Javelin Series 2 Cutter Bar. The Javelin 80" utility cutter is obsolete. it has been replaced by the 84" Javelin Series 2 Cutter Bar. The Javelin 100" utility cutter is obsolete. it has been replaced by the 104" Javelin Series 2 Cutter Bar. The Javelin 100" utility cutter is obsolete. it has been replaced by the 124" Javelin Series 2 Cutter Bar. The Practik 40" utility cutter is obsolete. it has been replaced by the Simplex 44" Cutter Bar. The Practik 60" utility cutter is obsolete. it has been replaced by the Simplex 64" Cutter Bar. The Practik 80" utility cutter is obsolete. it has been replaced by the Simplex 84" Cutter Bar. The Practik 100" utility cutter is obsolete. it has been replaced by the Simplex 104" Cutter Bar. The Practik 120" utility cutter is obsolete. it has been replaced by the Simplex 124" Cutter Bar. The 140" Max cutter has been discontinued. Call us now for a recommended replacement. 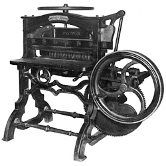 The manufacturer has discontinued production of the Max series cutters. We still have a few left, so call now to reserve yours! The manufacturer has discontinued production of the Max series cutters. Call us now for a recommended replacement.